Home Believers' LoveWorld LoveWorld USA launches new Christian TV Network! World-renowned evangelist Pastor Chris Oyakhilome, founder of Believers’ LoveWorld Inc. and Christ Embassy, has joined forces with Pastor Benny Hinn to launch a new Christian cable television channel across America. Pastor Chris’ Ministry runs several arms including the Healing School, Rhapsody of Realities (a daily devotional with global reach), and an N.G.O called the Innercity Missions as well as four Christian television channels: LoveWorld TV, LoveWorld SAT, LoveWorld Plus and the latest edition of LoveWorld USA! LoveWorld USA will start broadcasting this summer on Olympusat cable TV. The announcement broke on May 25 in an online Press Conference with Pastor Deola Philips and members of the press and media. Philips stated “Pastor Chris Oyakhilome and Pastor Benny Hi­nn are delighted to launch this new network dedicated to demonstrating the power of God on a daily basis in the United States and aro­und the world”. The focus of this union between these two men of God was said to be solely on LoveWorld USA, but any further collaboration would be made known through the network, with promises that the best is yet to come. 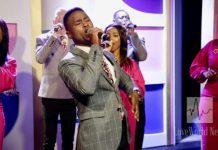 Pastor Deola’s answers alluded to great things on the network, with familiar aspects from both Pastor Chris and Benny Hinn’s individual platforms making regular appearances. Flagship programs such as Atmosphere for Miracles with Pastor Chris and This is your day by Pastor Benny will feature on the network with the purpose of highlighting global events that show God’s presence live everyday! Bible teachings, conferences, crusades, prayer shows and anointed music from both Pastors will also be showcased. LoveWorld USA was described as a faith-based venture inspired by God and His dream to bring hope, joy and the Holy Spirit to Americans. The network strives to bring the message of God’s love and demonstrate His power to as many as possible. LoveWorld USA’s uniqueness lies in the specific focus of the power of God in all its glory and providing news to the people – the latter being a trait not so common on most Christian television channels. The distinctiveness of this partnership between Pastors Chris and Benny can be seen in the fact that both have ministered in the power of the Holy Spirit for many years with a calling to bring God’s daily wonders to television. They stated, “We don’t want another boring network, we want to see signs and wonders on television”. Viewers can expect more and more expressions of God’s love to the people and nations of the world, and expect to be prayed and ministered to. Interestingly, viewers can also expect other well-known televangelists to regularly feature, such as Kenneth Copeland, Rod Parsley, Marilyn Hickey and Apostle Guillermo Maldonado. Pastor Chris has Ministry in his blood with his grandfather also being a Minister. He started preaching from a young age, holding large miracle meetings during his school days. In 2003, he pioneered the first 24-hour Christian satellite network that broadcasted from Africa to the world, giving rise to stations in Nigeria, South Africa and the U.K. In May 2017 his mega-congregation gathered 30,000 guests from around the world for the LoveWorld Festival of Music and Arts in South Africa. Pastor Chris Oyakhilome runs a global prayer network using social network platforms to send messages to Christians around the world regularly. Pastor Benny has been a televangelist and author for over 40 years with his Benny Hinn Ministries. Thus far, his program is broadcasted in 200 countries with best-selling books including “Good Morning, Holy Spirit”; and “Prayer That Gets Results”. This new TV channel will feature a variety of programs – in addition to the flagship programs – to set itself apart from other Christian networks. 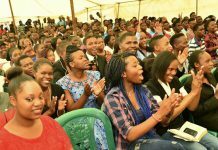 The network’s list of programs includes: Pastor Chris teaching, Hinn’s healing crusades, global news, sports, entertainment, youth programs, children’s programs, praise & worship, and other Christian ministry programs. The channel for broadcasting on Spectrum is yet to be determined but Pastor Deola confirmed it would not be on the satellite DISH. According to Pastor Deola during the live online Press Conference, the LoveWorld USA official launch will happen July 2017 where “the presence of God will be manifested on live TV”. As “2017 is the year of flourishing…this transformational new TV channel has divine timing”. So tune in this summer and prepare to see “miracles happen right before your eyes”! Previous articleBREAKING!! Pastor Chris and Pastor Benny’s new Evangelical TV channel in America! We are so thankful for the Lord’s blessings in this divine partnership. Thank you for your prayers and support! Tune in to Olympus Sat July 1 to witness the marvels and wonders of our Lord and Savior!! God bless. Hi , it’s so lovely to be here , I’m from Ghana and a member of Royal house chapel international. Now I hv one challenge in life which is fornication . However I have noticed that anytime I stay away from that many miracles happened . I was listening to Pastor Benny Hanna about the love world lunch and he a made a point about prayer from the mind, prayer from the flesh and the spirit. This actually confirmed my conviction and the understanding of my revelations. I had 5 kids with 3 ladies so this keep tormenting about the serving the Lord . Now a voice keep telling u have messed how can u serve Him, but a voice of God I believe keep encouraging it doesn’t matter about my wrong choices and mistakes in the past but my new self in Christ is the key. Is that true ? How wonderful to see two Greate Men of God working together in one accord for The Kingdom of God Almighty! This will be a double blow for satan and his agents!!! May The Lord continue to Guide and lead the Men of God as they bring The Love of God and His Healing Power to Mankind! In Jesus Mighty Name!!! Amen! May The Lord bring complete Unity in The Body of Christ so that we all Worship Him in one accord that He may draw all men to Himself! Thank you for your kind words. We are also so thrilled to see this partnership of anointed men carrying out the Lord’s work together. Hope you tune in to LoveWorld USA soon! God bless. Thank God for this divine partnership that is set to change lives in a very special way. Thank you Pastor Benny and Pastor Chris for saying Yes to God’s Spirit. Thank you Onyeka, to God be the glory, through Him all things are possible. Very excited for the future of LoveWorld USA and the global miracles, signs and wonders we will witness worldwide!